Automaxx of the Carolinas is proud to be the most trusted source of pre-owned Chevrolet vehicles in and around Summerville. Our team of Chevrolet experts search far and wide for the most impressive and well-conditioned Chevrolet models so we can pass along the savings to our valued customers from North Charleston and Moncks Corner. Whether you need the work-truck capabilities of the Chevrolet Silverado 1500, or you want to feel the heart-pounding excitement behind the wheel of the classic Chevy Corvette Stinger, Automaxx of the Carolinas has the pre-owned Chevrolet models that you’ll love. We hope you’ll find your perfect pre-owned Chevy model while browsing our inventory and visit Automaxx of the Carolinas to experience it for yourself with a free and convenient test drive. Our professional team is well-versed in all things Chevy and are well-equipped to answer all your questions about our pre-owned models. 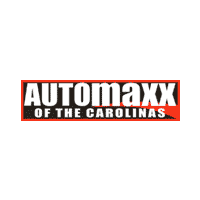 We look forward to seeing you at Automaxx of the Carolinas!